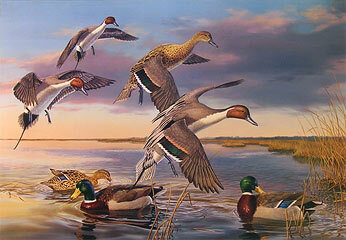 they are also available and look great with a Baltic Blue mat. 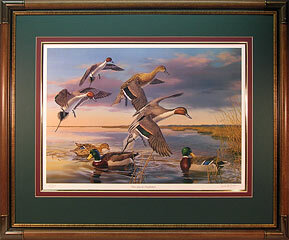 Image Size: 16 3/4" x 23 7/8"
Great for large walls or fireplaces! 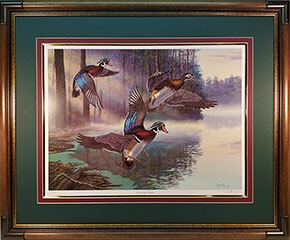 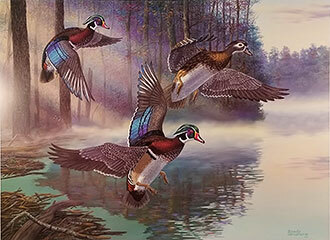 Read quote by Randy McGovern on his love for painting waterfowl!